Think off-peak season beach getaways are dull? We bet you haven’t experienced lavish post summer beach vacays in these beachfront hotels yet! Whenever I travel, I consider the accommodation first before planning on everything else. First, it must be strategically located. Second, it should not be too crowded. Third, it should be very budget-friendly. Though I am a trooper by nature, I nevertheless spend so much time in planning on where to catch those cheap stays for my trips without compromising on my comfort and convenience. I am no leprechaun but I delight in finding really great hotel deals with extremely generous perks to be pure gold. With these considerations laid out, you would probably guess by now that I plan most of my beach getaways during off-peak seasons. That is actually my secret to experiencing the best trips and taking those Instagram-worthy travel photos. And if we are like-minded, I think you will find this list a huge stress-reliever. I got you two of my top choices for some famous beach destinations in the Philippines. 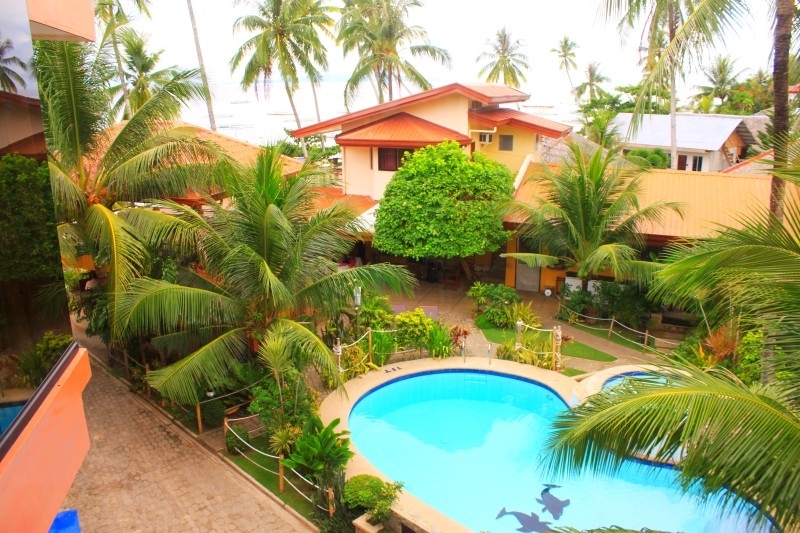 The lovely Red Coconut Beach Hotel is one of my best picks whenever I go to Boracay. Well, with their Low Season Promo of 20% discount on all room types, who would think twice? Yep, you read it right; the discount applies to all room types! And what’s even hotter is their Post Summer Promo that you can avail this year if you are fast enough to catch it. 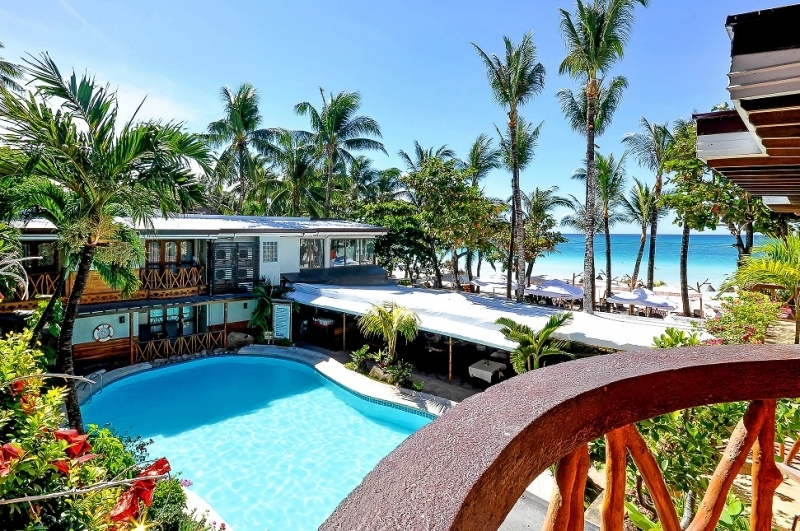 Interested to know the amenities and services in store for you at this prime hotel in Boracay? Read the a comprehensive review of Red Coconut Beach Hotel on TripZillaSTAYS. The District Boracay is also a good choice for picky travellers who want to enjoy both luxury and value for money. Check out their Lean Season Offer and enjoy 25% off on rooms, roundtrip Caticlan airport transfer, and a choice of breakfast or brunch buffet at Star Lounge. And the total deal sealer is their heavenly massage that goes with your booking! Do you want to know what’s even greater than that? When you grab their Advance Booking Promo, you can get all of the perks that are mentioned with the discount now at 30%. 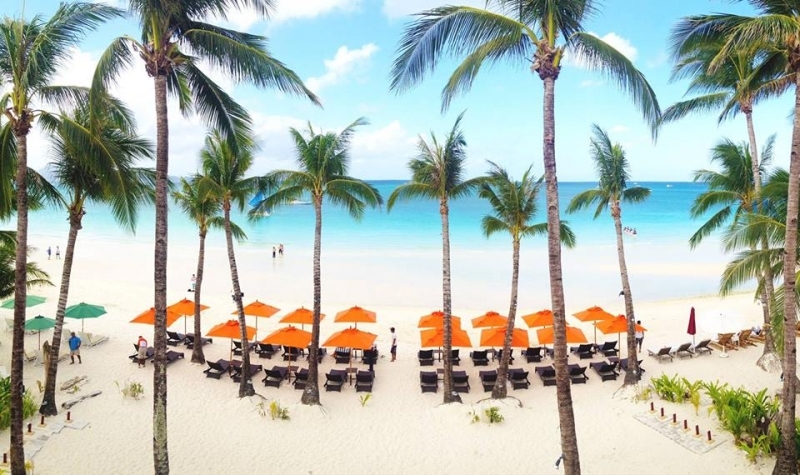 If you want to explore more of what this wonderful Boracay resort can offer you, check out the full review of The District Boracay on TripZillaSTAYS. Being a traveller who fell in love with the last ecological frontier of the Philippines, Palawan is an annual go-to for me (especially now that there are direct flights to and from Coron and Busuanga airports). Whenever I go to Coron, this eco-friendly beachfront hotel is my top choice of accommodation because of its attractive lean season perks. It offers 20% discount during off-peak seasons which comes with daily breakfast as well as coffee/tea selections, among others. And for those who are travelling with babies, baby cribs are also included in this promo. Yes, they are that accommodating to families, too! And for clicks, they have something for you as well, buddies. They also offer a 4+1 package. But wait, there’s more. When you book an accommodation with them from 1 October 2017 to 15 March 2018 for at least one month in advance, they also offer the same throw-ins at a 17% discount. Check out their irresistible promotions HERE. If you are looking for a high-rated resort with a laid back feel, modest rooms, accented with modern wood furnishings and floors, then stay at El Nido Cove Resort. Its rooms have beautiful views of the pristine white beaches and gradient blue shades of the Bacuit Bay – all the more at sunset! Most of the guests spoke highly of the hospitality establishment if you would like to do a quick research about its reviews on the internet. Their Special Lean Season Rates start at ₱5,400 good for two already. Click HERE to find out more about their special offers. I highly recommend Crimson Resort and Spa Mactan to families who come by Cebu for a relaxing beach vacation or for couples who want a laid-back tropical elegance. This is an automatic choice for me whenever my folks who are living in the province come over to visit me (Yes, they still check on the not-so-young me). On lean seasons, they offer as much as a 50% discount on some of their rooms which come with really nice perks such as complimentary access to the resort’s state-of-the-art jacuzzi, spa, steam, adult recreational activities, and gym. My parents enjoy these deals so much so we really frequent there. Plus, they also offer complimentary round-trip airport transfers for all who directly book them until 31 Dec 2017. 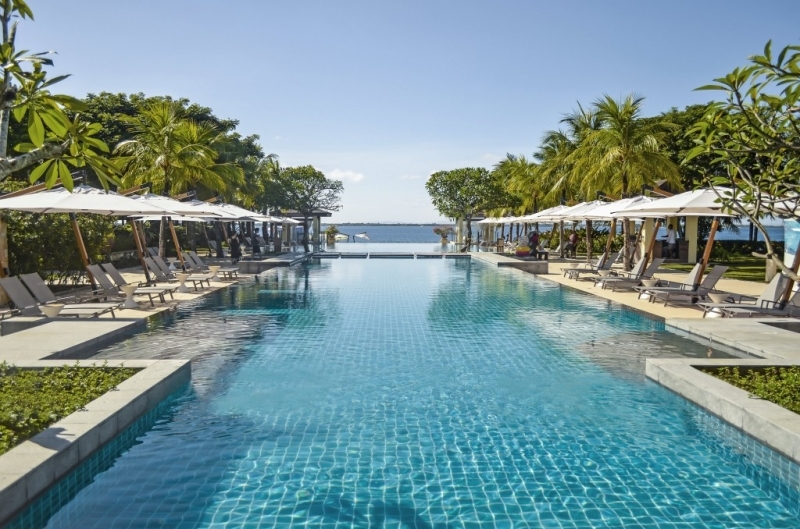 Click HERE for more information about the resort’s awesome promotions, and read the full review of Crimson Resort and Spa Mactan on TripZillaSTAYS. 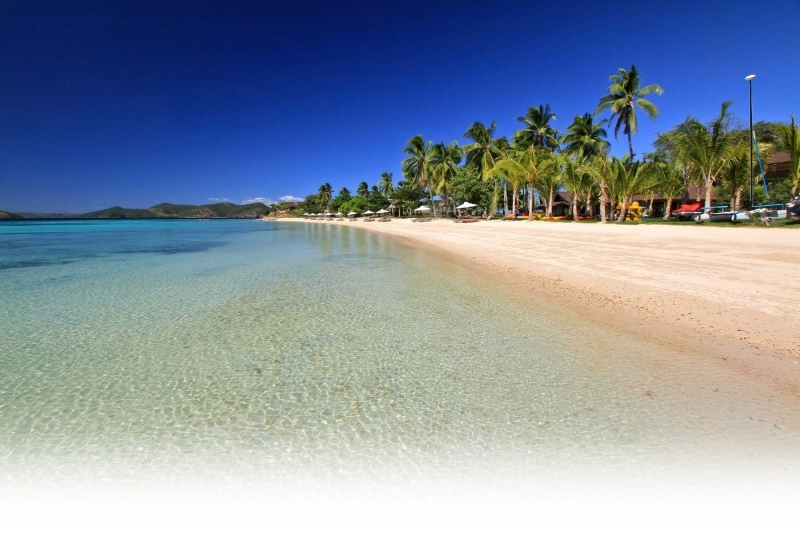 Plantation Bay Resort and Spa is one of the internationally acclaimed resorts in Cebu. They offer 25% discount on regular room rates when you stay with them for 6 nights or more during lean season. Included in this deal are: dinner for two at their themed buffet, unlimited Plantation Bay home-made ice cream, and a lovely coral reef encounter, among others. They rightfully boast about their commitment to satisfy all of their patrons’ comfort needs which I myself have experienced. Indeed, this is on top of my list when I just want to unwind in the beach over a long weekend in Cebu. Click HERE to see more of their discounts and rates. Henann Resort Alona Beach is a new and by far the biggest resort in Panglao Island, Bohol. It offers world-class hospitality and convenience, and it is complete with luxurious modern amenities including three swimming pools, a huge convention centre, pool bars, spa facility and so much more. Their lean season offers include daily complimentary buffet breakfasts and dinners as well as roundtrip airport transfers. Plus, you can customize this deal to enjoy various tours in Bohol for a lesser price. Click HERE to see more of their exclusive packages. Let me know when you have finally experienced post summer beach bumming in these beachfront hotels soon. Want more recommendations? Check out the top picks of hotels and resorts in the Philippines on TripZillaSTAYS.